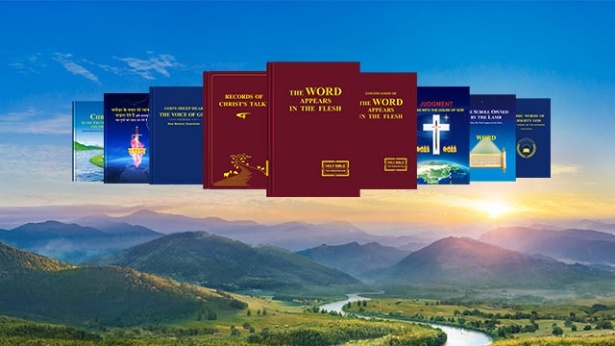 Question (8): For 2,000 years, the religious world has upheld the belief that “the Bible is given by inspiration of God, that it is all God's word”, so the Bible represents the Lord. Those who deny that the Bible is given by inspiration of God and is His word will definitely be condemned and labeled as heretics by the religious world. Is my understanding of this wrong? Answer: Many people of the religious world believe all the Bible is given by inspiration of God, and is all the word of God. This is clearly a faulty notion! All the epistles and the experiences and testimonies of the apostles contained within the Bible clearly state the author. The Bible is clearly written by people of different ages. How could their testimonies of experience be construed as the word of God? If we go by the religious world’s thinking, the writers of the Bible clearly are all men, but somehow their words become the words of God. What kind of logic is this? The essence of God and that of man are fundamentally different, only God can speak God’s word. And man can only speak human word. If we insist that the word of man is actually God’s word, so let me ask, were all the authors of the Bible God? Who can bear witness to that? Did they claim that they were God? Did they claim that all their words were given by inspiration of God? What do you say to this question? If you claim they were all God, this is in clear contradiction to the facts, because there is only one God. Also, clearly they’re all men, but you insist that they are actually God. This is blasphemous toward God! This is a deadly sin! If you accept that they are all men, but still maintain that their words are all the words of God, this is a distortion of the facts and a misrepresentation. This amounts to opposition to God and blasphemy of Him! Because, within the Bible, apart from Moses and the prophets, none of the other authors were instructed by God to convey God’s word. They also never claimed to have the inspiration of God in their writing. If one has no such evidence but claims that these men were speaking the word of God, he’s just shamelessly spouting off nonsense. The authors of the Old and New Testaments were all men used by God. They, experienced the work of God at that time. They had some knowledge of God, and held some burden in their hearts. They set their experiences and testimonies to writing and spread them to the saints of the churches. This is fact. But there were some who felt that these experiences and testimonies was particularly edifying much higher than the testimonies and experiences of the common man, and as a result they mistakenly began to blindly follow and worship them, thinking that their words must have issued from God, because the average person would be incapable of writing such things, so these fallacies and false notions came into being, and these fallacies and false notions spread far and wide and were adopted by many people. In the end, they became conceptions of religious people. The damage caused by all this is nearly inestimable. If Almighty God had not come, who would have realized all this? Despite the fact that many say that all things should be in accord with the Bible and the word of God, no one actually tries to discern all this according to God’s words, and, even more so, no one tries to seek the truth and scrutinize the facts with regard to this issue. Let’s read a few passages of Almighty God’s word. 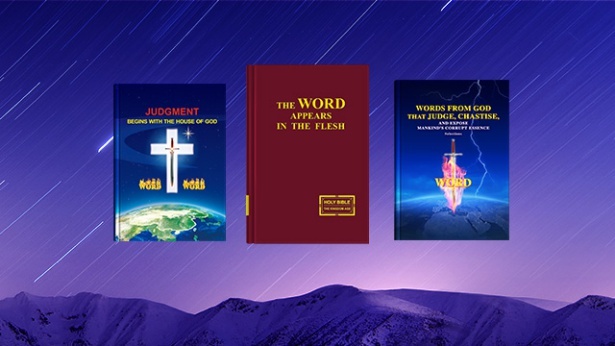 Almighty God says, “Today, people believe the Bible is God, and that God is the Bible. So, too, do they believe that all the words of the Bible were the only words God spoke, and that they were all said by God. 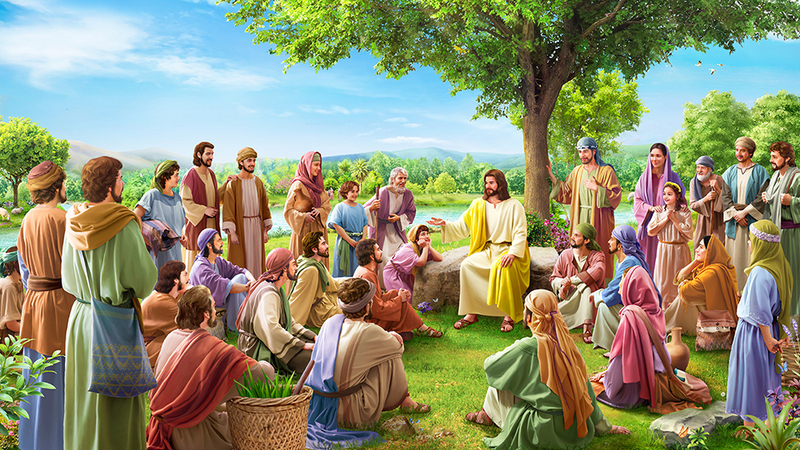 Those who believe in God even think that although all of the sixty-six books of the Old and New Testament were written by people, they were all given by inspiration of God, and a record of the utterances of the Holy Spirit. This is the erroneous interpretation of people, and it does not completely accord with the facts. In fact, apart from the books of prophecy, most of the Old Testament is historical record. Some of the epistles of the New Testament come from people’s experiences, and some come from the enlightenment of the Holy Spirit; the Pauline epistles, for example, arose from the work of a man, they were all the result of the Holy Spirit’s enlightenment, and they were written for the churches, were words of exhortation and encouragement for the brothers and sisters of the churches. They were not words spoken by the Holy Spirit— Paul could not speak on behalf of the Holy Spirit, and neither was he a prophet, much less did he see visions. His epistles were written for the churches of Ephesus, Philadelphia, Galatia, and other churches. … If people see the epistles or words like Paul’s as the utterances of the Holy Spirit, and worship them as God, then it can only be said that they are too indiscriminating. To speak more harshly, isn’t this nothing but blasphemy? How could a man talk on behalf of God? And how could people bow down before the records of his epistles and of the words he spoke as if they were a ‘holy book,’ or a ‘heavenly book’? Could the words of God be casually uttered by a man? How could a man talk on behalf of God?” “Not everything in the Bible is a record of the words personally spoken by God. 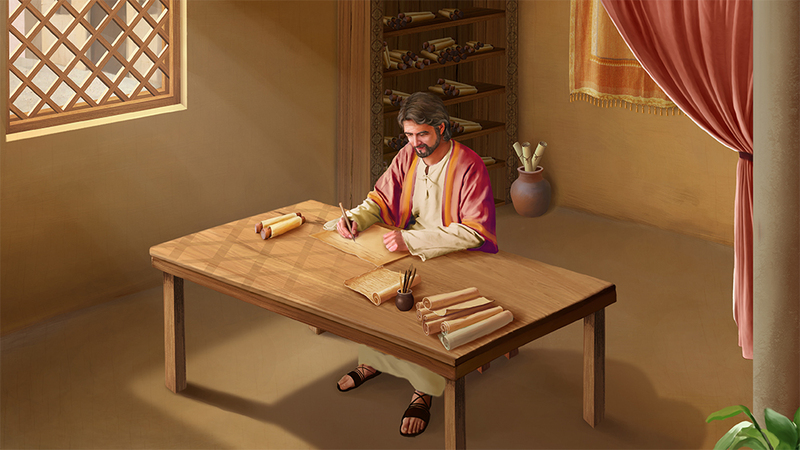 The Bible simply documents the previous two stages of God’s work, of which one part is a record of the foretellings of the prophets, and one part is the experiences and knowledge written by people used by God throughout the ages. Human experiences are tainted with human opinions and knowledge, which is unavoidable. In many of the books of the Bible are human conceptions, human biases, and human absurd interpretations. Of course, most of the words are the result of the enlightenment and illumination of the Holy Spirit, and they are correct interpretations— yet it still cannot be said that they are entirely accurate expressions of the truth” (“Concerning the Bible (3)” in The Word Appears in the Flesh). Having read the words of Almighty God, we can all see the Bible is not entirely given by inspiration of God, is not entirely the word of God. As for what parts of the Bible are God’s word and which are the words of men, those with a discerning eye can tell right away. 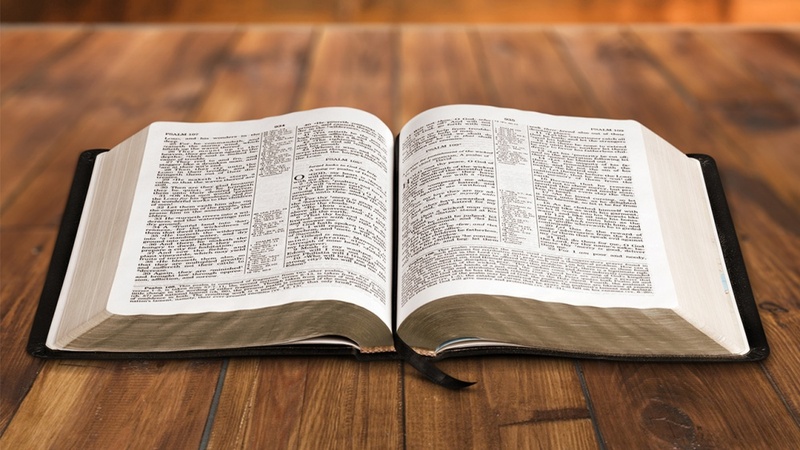 For the name of author is clearly stated for each scripture of the Bible, and it is also clearly stated which parts of the Bible contain the words of God. So how is it that without batting an eye, people continue to take the words of man and of Satan as those of God? Is this a fair way of speaking? If believers in the Lord insist on claiming that the words of men as contained in the Bible are actually the word of God, how do you think God will feel? Is this fair to God? Is this not a defamation, belittlement and blasphemy of God? What is the weight of man’s word in the eyes of God? Why don’t we take a moment to think? How can the word of man compare with that of God? The essence of man and that of God are vastly different, so of course the words of man and those of God are even further apart. If, through the enlightenment and illumination of the Holy Spirit, man’s word can accord with truth, this is already a great achievement. If man’s word is not guided by the work of the Holy Spirit, is it not fallacies and lies? If believers in God can’t see this, then I’m afraid they are just too foolish and ignorant! Nowadays, the whole religious world takes the words of men within the Bible as those of God. This shows that no one in the religious world truly knows God. Most of the leaders of the religious world are hypocritical Pharisees. Those who truly know God would never believe that the Bible is all given by inspiration of God and is all God’s word. They certainly would not blindly worship the Bible and even treat the Bible as God. It is widely held in the religious world that the Bible was all given by inspiration of God and is the word of God, and that the Bible can represent God. This is the most absurdly false notion in all of the religious world. Previous：Question (7): You testify that the Lord Jesus has already arrived and He is Almighty God. and that He has expressed many truths and is doing the work of judgment of the last days. Is that true? I think this is impossible. We’ve always maintained that the words and work of God are recorded in the Bible, and that the words and work of God do not exist outside of the Bible. We believe that the Bible already contains the fullness of God’s salvation, the Bible represents God. As long as one adheres to the Bible, he will enter into the kingdom of heaven. The Bible already contains the fullness of God’s salvation, the Bible represents God. Our belief in the Lord is based on the Bible, straying from the Bible constitutes a denial and betrayal of the Lord! Is there anything wrong with this understanding? Next：Question (9): The Bible is a testimony to the Lord, and the foundation of our faith. These two thousand years, all the believers have based their faith on the Bible. So I believe that the Bible represents the Lord. Believing in the Lord means believing in the Bible, believing in the Bible means believing in the Lord. No matter what, we cannot stray from the Bible. 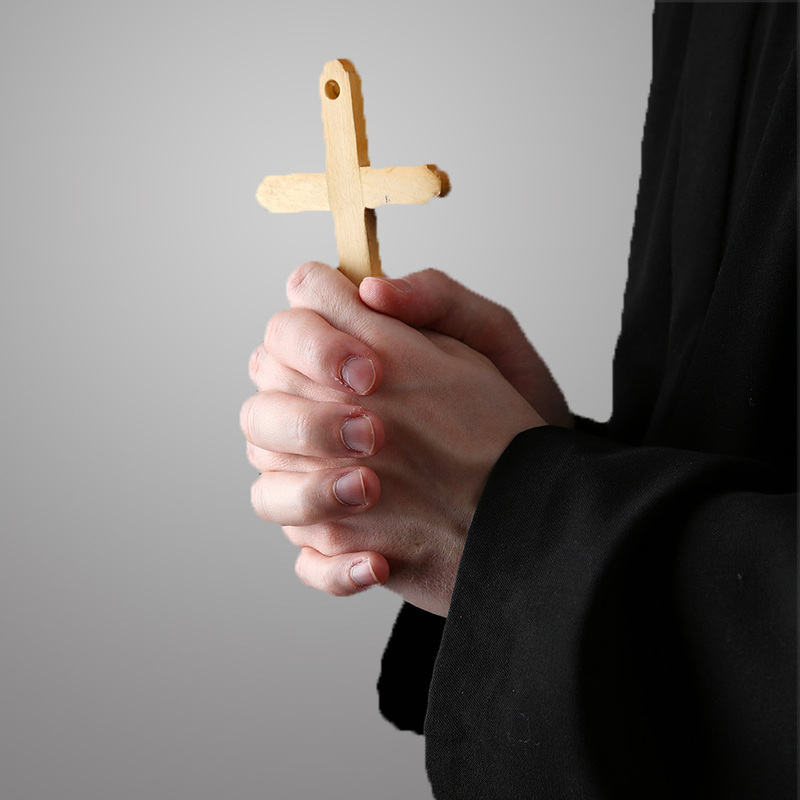 How are we supposed to practice faith without the Bible? Could that even be called faith in the Lord? Tell me, what's wrong with practicing faith in this way?